Roguelikes, bullet hells, twin-stick shooters. If you like or have an interest in any of those words, buy this game. Don't even bother reading the rest of this review as you're only wasting time precious time you could be spending with Enter the Gungeon. Enter the Gungeon takes the dungeons of Zelda, and combines them with the gunplay and difficulty of Nuclear Throne, and slaps on an original coat of paint to make the most polished and addictive game so far this year. 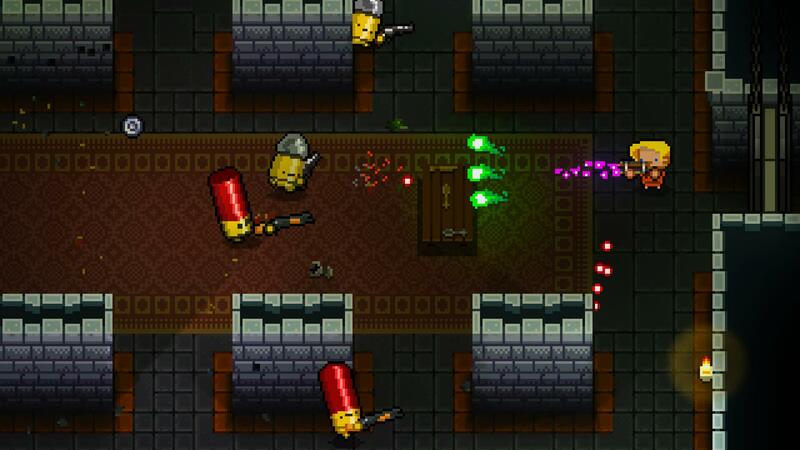 Playing as one of four characters -- each with their unique loadouts -- you'll be entering the "Gungeon" to attempt to secure a gun that can kill your past. Along the way, you'll encounter tons of equally cute but deadly bullet and gun-themed enemies, then blast them away with a plethora of over-the-top weaponry. The gunplay couldn't be better, as it feels polished and tight regardless if you're using a keyboard and mouse or a controller. Said controls have to be tight too, as the screen is often filled with bullets and enemies, meaning you'll be shooting one direction while shooting and dodge rolling another. Dodge rolling is extremely important in Enter the Gungeon, as not only does it allow jumping across pits, but leaping over bullets unharmed. If you're an aggressive player who doesn't like being defensive, you're going to have a bad time as dodge rolling is key to basically every single gunfight. As this is a rogue-like, you'll be entering the Gungeon over and over, unlocking new guns and abilities each time. Luckily the repetition never quite feels all that repetitious as the dungeons are randomly generated, there are tons of different bosses to encounter, over 200 weapons to use, and a boatload of extremely well-hidden secrets. Many of the weapons have to be purchased -- using in-game currency that bosses drop -- before they will appear. But before you can do that you'll have to rescue various people from the dungeon who set up shop either in the Gungeon itself or just before the entrance also known as the Breach. 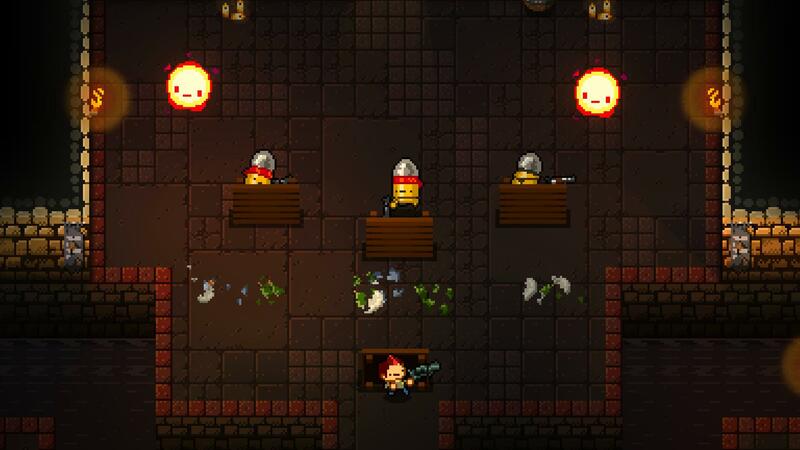 Not only do the rescued characters sell you items, but some of them give you tasks such as killing a certain number of a specific type of enemy, completing a room using a specific gun, or even a shooting gallery mini-game in the middle of the Gungeon. These add even more variety to the experience and keep the whole thing feeling fresh even after many hours. 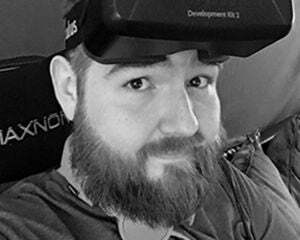 Having put nearly 40 hours in, I still feel like I'm just scraping the surface. Every time I play, I still continue to discover new weapons and rooms I've never seen before. Some of the secrets I've stumbled upon have been hidden pretty well, and I can only imagine what else I've yet to find. The only part of Gungeon that will surely turn off some people is the difficulty. The first few floors aren't too difficult, but the fourth chamber introduces many new enemies that cause a brutal difficulty spike, not to mention the bosses from there are are extremely hard. While you can unlock the ability to spawn at the start of each chamber, it serves little purpose as you build up an arsenal and health by starting in the first chamber and working your way down. A full playthrough only takes just over an hour, but don't expect to do that on your first, second, or twentieth try due to the difficulty and most of the power weapons being locked at the start. While there isn't any online multiplayer offered, there is couch cooperative play. However, whoever is player two has a specific character they play as that can bring player one back to life; otherwise, everything works the same as if you're player one. 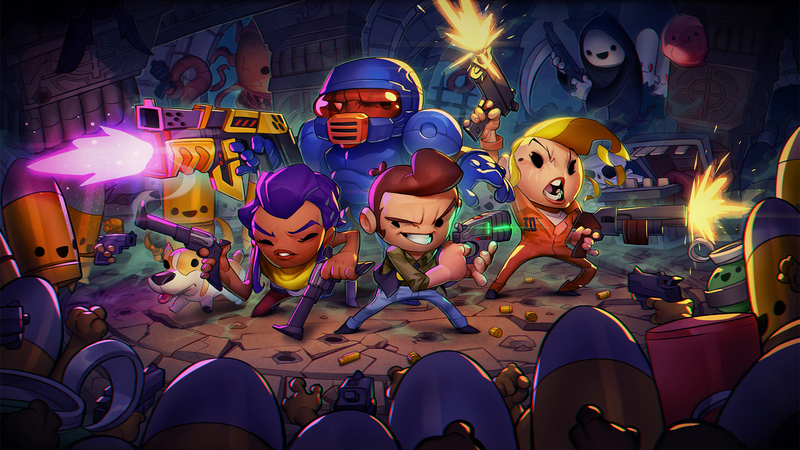 With tons to find, unlock and kill, Enter the Gungeon is easily recommendable to those that don't mind a bit of repetition and difficulty, and especially to fans of Nuclear Throne and Binding of Isaac. While it doesn't totally reinvent the twin-stick shooter, it has all but perfected it and is worth every penny.